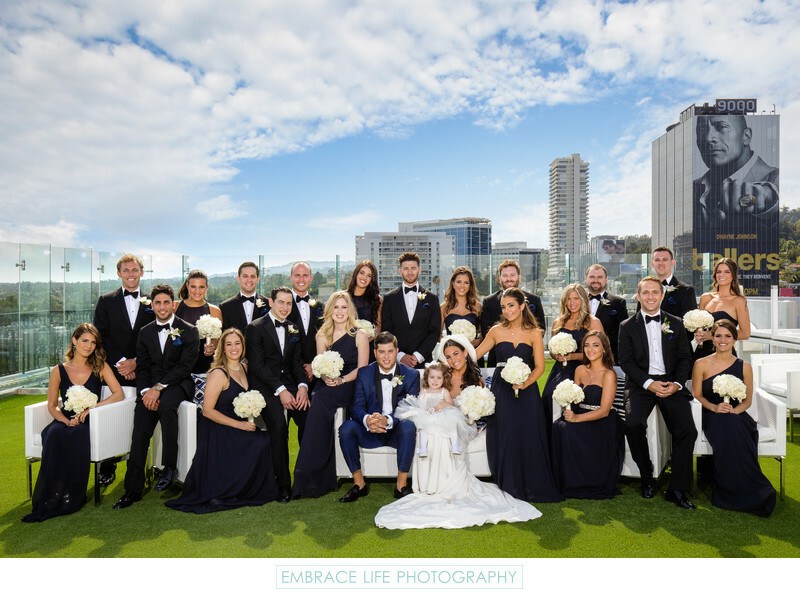 Large group wedding party portrait on the rooftop of the London West Hollywood - an incredible modern wedding venue in Los Angeles. Wedding photographer, Embrace Life Photography, capitalized on the incredible view of high rise buildings and blue sky. The London West Hollywood is a dream urban wedding location. Location: 1020 N San Vicente Blvd, West Hollywood, CA 90069.